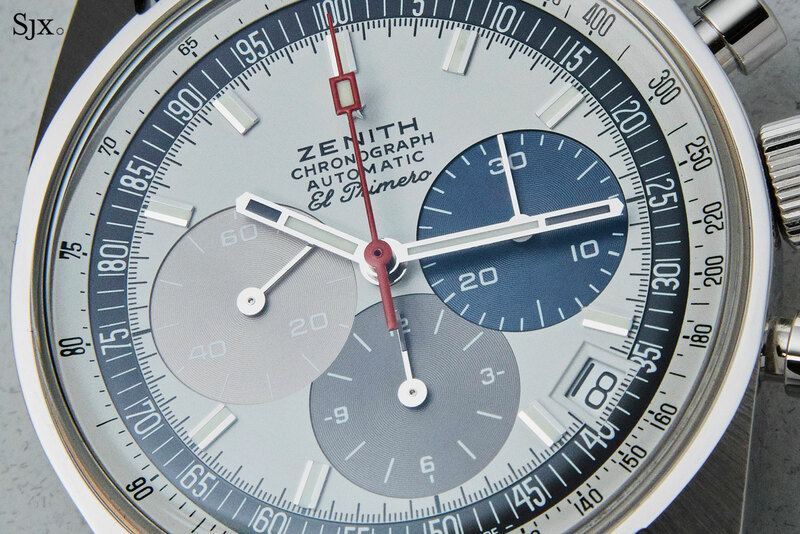 Zenith kicked off the 50th anniversary of the seminal El Primero in January by rolling out a box set that pays tribute to the past, present and future of the chronograph movement. At Baselworld 2019 the commemorative editions continued with the El Primero A386 Revival, three remakes of the very first El Primero-equipped watch, in white, rose and yellow gold. Specifically the watches are remakes of the A386 “Mark I”, and faithful in such detail that will please fans of the original. 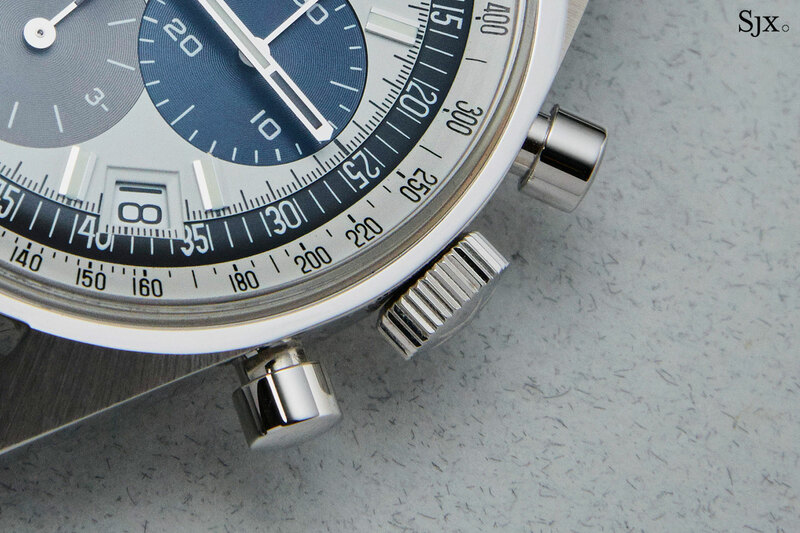 The watch case is a near exact copy of the original A386 case, with the same profile, details and 38mm diameter, except for the addition of an open case back and the Zenith star on the crown (instead of the older, four pointed Zenith logo that resembles the NATO emblem). And it also has a domed sapphire crystal, replacing the acrylic on the original, which is a typical upgrade in today’s remakes. According to Zenith, a reverse engineering process was used to execute the recreating, with each component scanned and modelled digitally so as to ensure strict adherence in dimensions. That holds true for the pump-style pushers and lugs, which share the exact same measurements as the original. In fact, the historical accuracy extends to the point where the lugs meet the bezel; it is flush as it was on the “Mark I” A386, whereas on the subsequent “Mark II” and later a small step separates the two. The dials are, naturally, the trademark Zenith “tricolour”, with the sub-dials in grey and blue, just as it was on the original A386. Similarly, the hands and hour markers are replicas of the original, albeit in the same colour as the gold watch case. 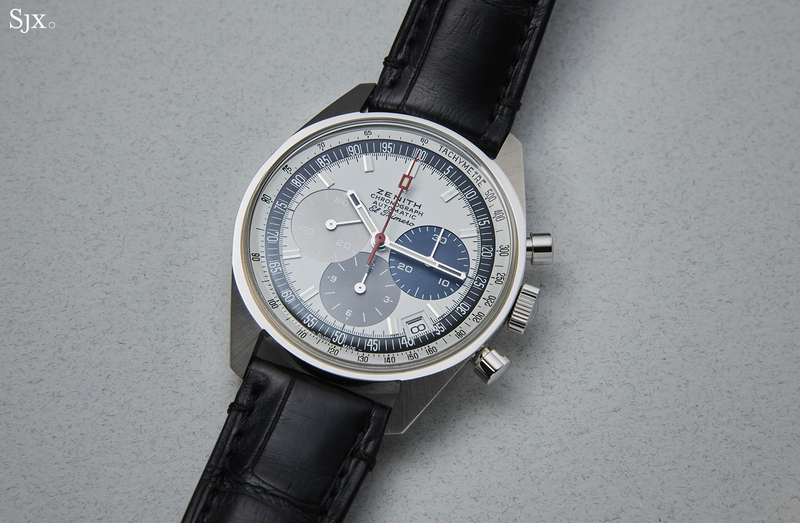 Zenith also replicated the font for all the markings on the dial, from the tachymetre to the logo at six o’clock. That being said, the weight of the font for the logo is slightly heavier than the original, though it is hardly apparent unless you look really hard. 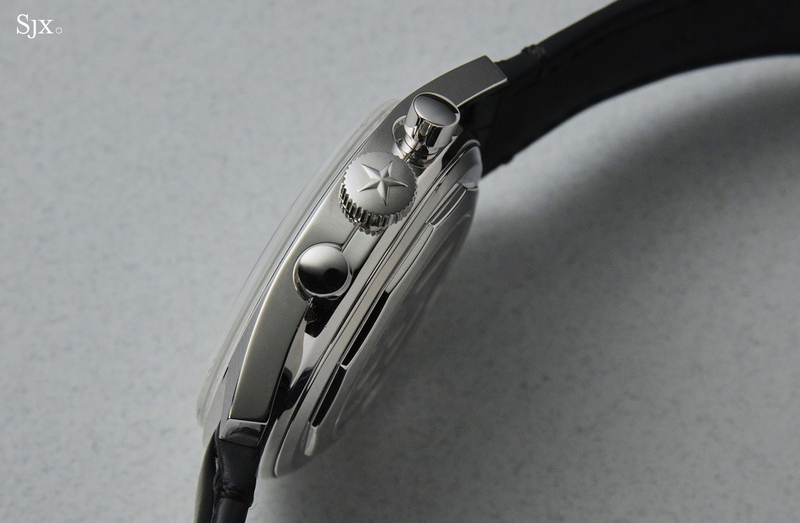 The El Primero 400 with its characteristic 36,000 beats per hour (or 5Hz) frequency is visible through the display back. 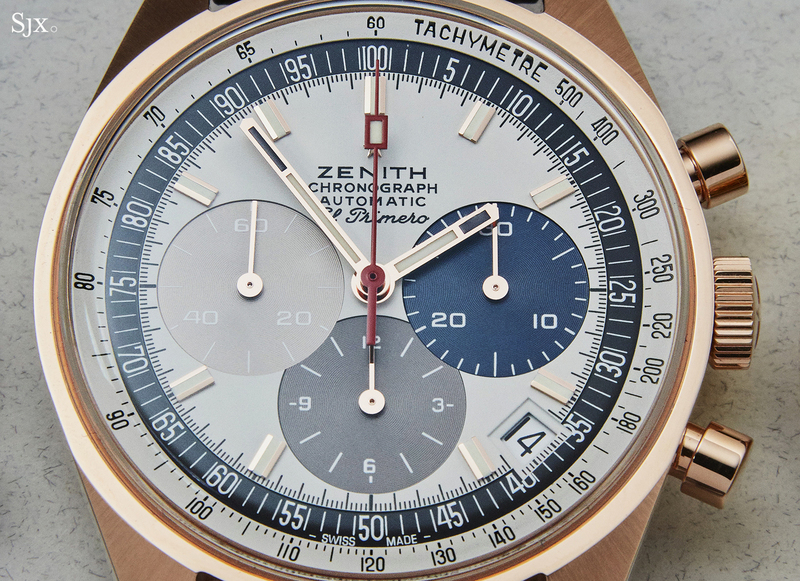 While the original didn’t have a display back, this concession to modernity isn’t a bad one since it is arguably this movement, rather than anything else, which defines Zenith. While other watchmakers have to make do with modern movements inside vintage remakes, Zenith can boast the original movement almost exactly as it was in 1969, which is no mean feat. 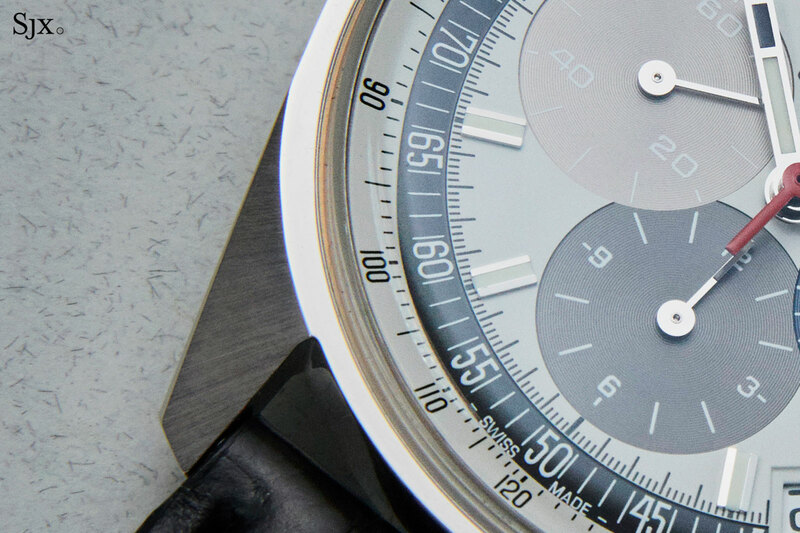 The El Primero 400 is mechanically identical to the cal. 3019 PHC inside the vintage A386, a movement codenamed “El Primero”, which means “the first” in the little used, international language Esperanto. But the modern day El Primero 400 has been dressed up, giving it greater visual appeal than the original, which was quite plain. The movement inside the A386 Revival remake features blued screws, an open-worked rotor, and perlage on the bridges. Like most modern luxury watches, the A386 Revival is fitted on an alligator strap. Traditionalists would probably prefer the unusual “ladder” bracelet manufactured by Gay Freres that’s distinct to Zenith watches of the 1960s and 1970s. That isn’t available, but it just might be in the future. 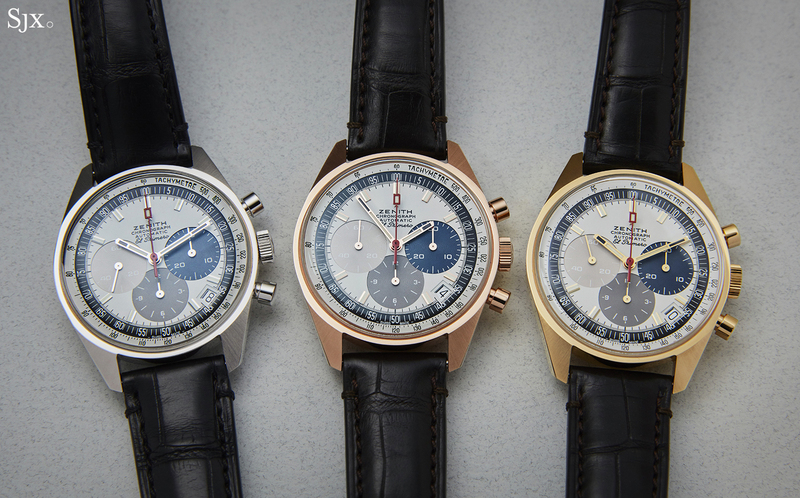 The 18k gold cases make them less affordable than the average El Primero. A steel version would have been a bestseller, but unfortunately the steel model is only available as part of the box set 50 Years of El Primero Anniversary Set. That being said, the A386 Revival in gold still offers good value for money as solid gold chronographs go, especially given it is a historically significant watch that’s been remade with practically the same movement as in 1969. 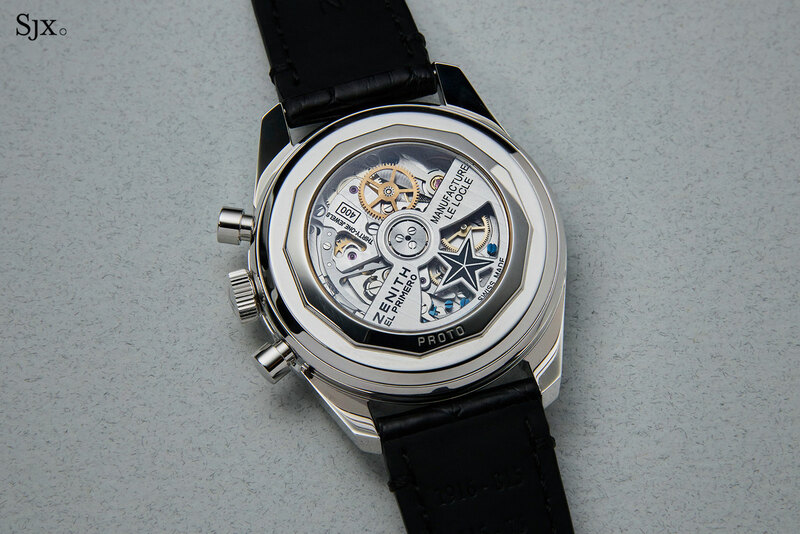 It’s not likely to happen, but the A386 Revival trio would be a satisfying conclusion to the El Primero if this marked the end of the El Primero 400, with Zenith moving on to its successor movement. 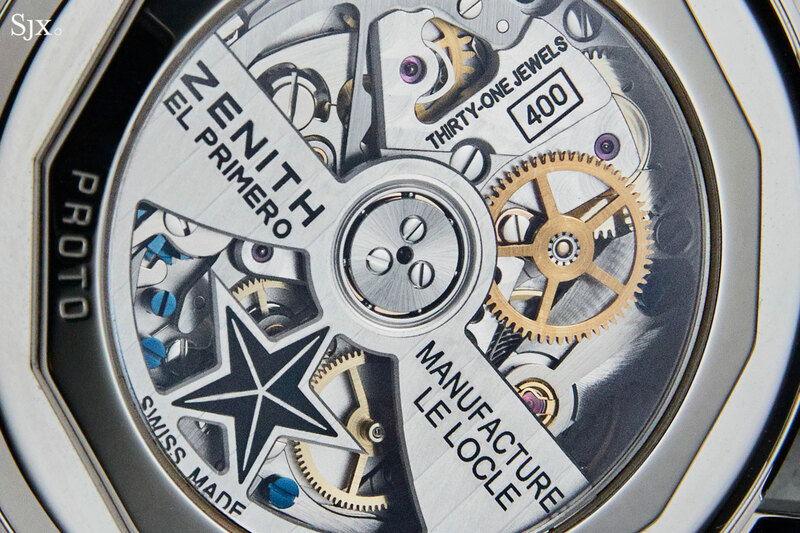 The Zenith El Primero A386 Revival watches are available in 18k white gold (ref. 65.A386.400.69.C815), rose gold (ref. 18.A386.400/69.C807), and yellow gold (ref. 30.A386.400/69.C807). Each is limited to 50 pieces. Each is priced at 19,900 Swiss francs, or 30,200 Singapore dollars. That’s equivalent to US$20,000. They will be sold individually. The watches will be available in the fourth quarter of the year. Correction April 3, 2019: The retail price is 30,200 Singapore dollars, and not 32,000 as stated in an earlier version of the article. When a British luxury SUV discreetly meets a Swiss chronograph wristwatch.